The previous article in our blog series described the recommended training strategy for your RCA program development. The next step in achieving a successful RCA program is to ensure leadership understands their role and has the tools in place to ensure the longevity of the program and its effectiveness. To ensure the success of your root cause analysis program leadership must have a vested interest and take responsibility not only for developing and overseeing the functions of the RCA effort, but also monitoring the status of the individual analyses and associated solutions. This monitoring is typically done by the Steering Committee in conjunction with its other strategic responsibilities. Once a root cause analysis has been completed, a list of potential solutions will be developed by the RCA team and submitted to the Steering Committee via the Program Champion or his/her designee for approval. The Steering Committee then assigns these solutions to individuals for completion and puts them into an action plan format with assigned due dates. These actions should be completed in the shortest time possible, otherwise the process will quickly fade away. The Steering Committee must track the status of open RCAs, the progress of implementing the solutions to ensure timely completion, and the effectiveness of previously implemented solutions (as measured by recurrences of the original incidents). New analyses should not be started if a large number of solutions remain to be implemented. An appropriate person needs to be assigned the responsibility of tracking progress and recurrence. The right person for this responsibility may be different for different organizations. Progress is tracked by showing the number or percentage of completed solutions. Recurrence will be tracked by measuring repetition of the incident. Some organization will already have software and methods for tracking tasks, such as a CMMS. If this is the case, it can be considered for RCA and solution tracking as well. However, if a system does not currently exist or does not fulfill all the organization’s RCA tracking needs, then we would recommend considering RCProTM enterprise RCA software. It allows for the generation of an action list, due dates, and comments of each analysis to be shared with team members. It will also provide detailed reports on current investigation status, action tracking, outstanding Items, and view systemic issues across the organization. This is where the Steering Committee review and support really comes in to play. The leadership team should review RCA status and solution implementation and final results as a regular part of Steering Committee business. The Steering Committee’s main role is to ensure that RCAs are completed in a timely fashion and that resulting solutions are implemented and tracked for effectiveness. Stay tuned for our next installment on RCA Process Mapping. This summer, the heat is shattering records around the United States—in Arizona, 119°F (48°C) days mean dozens of plane flights have been grounded and air conditioners are demanding an unprecedented number of megawatts from utilities. With average temperatures rising every summer and energy demand following suit, utilities have recognized the need to be more proactive about reducing their risk of outages. Recently, the Chief Operating Officer of one energy generation company sought our help to fend off any issues that could result in a summer outage. Not only would an outage mean unhappy customers, but it would also mean financial losses if the utility couldn’t run at maximum capacity during its most lucrative season. Throughout the winter, this utility saw a few small issues here and there. While nothing too dramatic happened, the COO recognized that he wouldn’t be able to afford something bigger going wrong during the busy season. He approached us to conduct a Vulnerability Assessment and Analysis (VAA) that would help identify his company’s most critical issues and reduce the likelihood of a service interruption. The analysis began with one power plant. This utility was like many other operations—they had several vulnerabilities on their radar in some form but no central repository for tracking them all. There might be a machine operator who knew about one issue, there might be an email chain about another issue, a few deferred work orders hanging around, but no way of making all issues known to all parties. We began collecting information about the plant’s vulnerabilities—conducting individual interviews and brainstorming sessions with small groups of engineering and operating staff. We also reviewed event logs and work order histories to determine whether past events were likely to reoccur. We wanted to know: what issues had they been living with for a while? Where were they deferring maintenance? What spare parts were they missing? What workarounds were in place? Over the course of about a week, we reviewed all the vulnerabilities that could slow down or stop production on 40,000 pieces of equipment. Out of this process, about 200 vulnerabilities were identified. Next, we scored each vulnerability in terms of likelihood and consequence and then ranked them “low,” “medium,” or “high” according to the corporate risk matrix. While there were about 25 vulnerabilities that we identified as being in the “high” category, we determined that 16 of them comprised approximately 80 percent of the risk to production. If the utility focused on resolving these 16 issues first, they would see the greatest results in the shortest amount of time. We were also able to show the utility which type of vulnerability was most prevalent (wear and tear) and which systems were most in need of attention. The final step was to assign a high-level action to each of the most critical vulnerabilities (examples might be “order spare parts” or “seek approval for design change from fire marshal”). Now the utility had a clear plan for which vulnerabilities to address first, where to begin resolving each vulnerability, who was responsible for each action item, and a recommended time frame for taking action. Like most organizations, this utility wasn’t surprised by the vulnerabilities we identified. Chances are, these issues had been looming in the background making everyone somewhat uneasy due to the lack of clear prioritization or path to resolution. Over the course of just three weeks, our Vulnerability Assessment and Analysis captured all the potential vulnerabilities, prioritized them according to criticality, and provided a clear path of action. By following this plan, the utility could dramatically reduce the chances of a catastrophic slow down or stoppage, eliminating much of the stress that usually accompanies the high season. The utility’s COO was so pleased with the results at the first plant that he immediately scheduled a Vulnerability Assessment and Analysis for the next power plant, with plans to eventually cover them all. It’s important to conduct a Vulnerability Assessment and Analysis before a period of high production, but it’s also a useful process in advance of a scheduled work stoppage. This way any fixes that are identified can be completed without incurring additional downtime. Find out more about our Vulnerability Assessment and Analysis process. As anyone with a hand in running a household knows, it’s important to keep a stockpile of key items. You certainly don’t want to find out the hard way that you’re on your last square of toilet paper. But in the case of a facility like a power plant, a missing spare part could be more than just a nuisance—it could be downright expensive. Determining the appropriate spare parts to have on hand in a large facility, however, can be tricky. This is especially true after building a facility from the ground up, when you don’t have a frame of reference for which spare parts you’re most likely to need first. Most organizations deal with this in one of two ways: 1) they guess or 2) they purchase according to a spares list provided by an equipment vendor. There are obvious limitations when it comes to guesswork—making the wrong guess can result in huge expenses either in unnecessary spare parts or in costly downtime. A vendor-suggested list is probably somewhat more accurate, but such suggestions are unlikely to take into account the specific needs of your organization. We approach spare part holding recommendations through the lens of reliability as it applies to each specific operation. As factors change, it’s important to re-evaluate, making sure to take into account everything that could influence purchase priorities. Recently, a utility company approached us to review the list of spare parts their equipment vendor had recommended. According to the vendor, this utility needed to purchase $4.9 million worth of spare parts up front. The utility wanted a second opinion before making such a sizable investment. We started the spare parts analysis by looking at the list provided by the equipment vendor, but then we dug much deeper. We explored a series of questions, including: How often is this part likely to fail? What is the cost of the downtime if the part is attached to a critical piece of equipment? What is the unit cost of the spare part? What is the lead time to obtain a spare? Is this part likely to fail at any time throughout its lifecycle, or is it only likely to fail at the end of its life? There is no point in purchasing a spare today if you are unlikely to need it for another 20 years. In all, about 1,500 pieces of equipment were reviewed over 40 days before providing a recommended list of spares. The final list included some of what the vendor had recommended, left off many of the vendor’s recommended parts, and suggested a few additional parts that weren’t in the original list. The final critical spares list that was recommended included a total of $2.2 million in spare parts—a savings of $2.7 million over what the vendor had originally recommended. Our recommended spares list is intended to be responsive to changing needs and new information. When the utility took a second look at its downtime cost and calculated that it was actually $10/megawatt and not the $23/megawatt they had initially determined, we re-evaluated the spares list, reducing the utility’s recommended purchases by another $200,000. If your organization is like most, you probably run into trouble when it comes to having the right spares on hand. Either you’re missing the right parts when something breaks down, or you have expensive spares gathering dust and potentially going bad in storage. ARMS Reliability takes the guesswork out of developing a critical spares list, taking into account item costs, the likelihood of failure, lead times, downtime costs, and all other relevant factors. The investment this utility made to conduct the analysis with our help ultimately reduced their bottom line equipment costs by $2.7 million—which represented a savings of 50 to 1. Beyond the monetary benefit, the utility’s Reliability Engineer felt much more confident in the approach taken. He was also relieved to avoid grossly overspending on spares. The previous article in our blog series on RCA Program Development described the responsibilities of the six roles required for your program to function well. The next step in achieving a successful RCA program is to develop a comprehensive RCA training strategy that will ensure sustainability of the effort to reduce the frequency and severity of undesirable incidents into the future. A common mistake is to under-train, primarily RCA facilitators, in relation to the trigger diagram which we discussed in an earlier blog post. You may recall that in developing the trigger diagram, a 3-year baseline of triggering events is reviewed to ensure an adequate balance of events and trained facilitators. Assuming the RCA facilitation responsibilities will be an addition to the existing position responsibilities, one would expect a facilitator would be leading a triggered RCA on average once per month with a series of less important ad hoc RCAs in between to stay current on skills. There should be at least one Super User at each facility and at the corporate level. Likewise, all personnel that may be either a first responder to a triggered event or expected to participate in the RCA should be trained to an appropriate level as outlined in the table below (click photo to enlarge). A “Refresher” course should also be undertaken as needed. An often overlooked element of a training program is the need to maintain optimum skill levels over time, especially if there are prolonged periods where the skill may not be practiced. This can often be the case with triggered events because of their random nature. This creates a danger that skills and knowledge may not improve at the same rate as other jobs skills. This is especially true for Facilitators, First Responders, and Participants. Records should be maintained that track the number of facilitated RCA, first responses, and RCA participations and reviewed at least annually. If Facilitators have gone six months, or Participants/First Responders one year, without using these skills then consideration should be given to the refresher training. Training is an essential component for all personnel involved with an organizations’ RCA program. Having the right roles with the right skills and ensuring those skills stay fresh over time is important to the overall success of your RCA effort. ARMS Reliability leads world-class training to assist you in every stage of your RCA journey. Learn more about the required and recommended courses, and contact us for more information. And, RCA Program Development Training Strategy. Stay tuned for our next installment on RCA Effort Oversight and Management. Microsoft Excel is an amazing tool. Yet it has its limitations and flaws for engineers who aren’t trained in computer programming. The main problem with Excel for managing maintenance programs is a simple one, yet it’s largely unavoidable. It’s called human error. No matter how fastidious you are when creating a spreadsheet, a single line of data that is entered incorrectly—or, worse, an inaccurate user-defined formula—can have huge implications down the track. These error rates are completely consistent with error rates found in other human activities. With such high cell error rates, most large spreadsheets will have multiple errors, and even relatively small “scratchpad” spreadsheets will have a significant probability of error. When it comes to maintenance, these small errors can quickly add up. Think of a multi-million-dollar maintenance project. A maintenance manager unwittingly enters a few incorrect cost estimates. Decisions are made based on the calculations resulting from this incorrect data, and machinery is not maintained when it should be. Or, the equation for failure probability is not quite right. According to the spreadsheet, a major piece of equipment isn’t likely to fail anytime soon, so you delay maintenance. Whoops. The equipment fails and the whole plant needs to be shut down. The downtime costs tens of thousands a day. Yes, Excel can be used to create links between different sheets, develop hierarchical relations and create simple pivots. It can even run complex Monte Carlo simulations for determining probabilistic likelihoods of asset failure. It’s flexible and easily adaptable. But can your organization afford the risk of compounding errors due to incorrectly entered data or a flawed formula? As any maintenance engineer or manager will know, work management is a critical piece of the maintenance puzzle. It’s all about evaluating your equipment, deciding what you need to do with it, scheduling the work in, completing the work and finally reviewing your actions. You’d be hard-pressed to find an organization that doesn’t have a good work management process in place. And a raft of enterprise software systems exist to help manage the activity (think SAP PM or Maximo). Yet these enterprise systems fall down in one crucial area: Asset Strategy Management. Reliability analysis is not built into the tools, and so organizations fall back on spreadsheets to manage things like predictive failure analysis, failure mode effects analysis and reliability simulations. The good news? Implementing an Asset Strategy Management (ASM) solution removes the inconsistent outcomes from asset strategies and drives continuous reliability improvement. Asset Strategy Management helps to answer the ‘what’ and ‘when’ of maintenance, and is proving to save money, dodge downtime and improve overall business performance. The use of an enterprise ASM solution over spreadsheets offers huge value to any organization. First, as a structured solution, you know that it has gone through rigorous rounds of testing by experienced programs. Formula errors simply don’t exist. What about human error? An ASM solution helps you avoid user input errors through data validation and verification. You set up business rules and logic that immediately flags if an error has been made. For example, there’s a common field called a ‘system condition’. You can set the field as mandatory—a user must enter a number to progress to the next field. You can even stipulate what number/s it can be. ASM delivers huge efficiency gains. We have seen it take almost three years to develop a reliability management strategy using Excel spreadsheets. Using an enterprise ASM software tool, complex reliability strategies were up and running in six months. Efficiency is also found in the reduction of the number of files being used. If you’re using spreadsheets to manage maintenance schedules, it’s common to have a different spreadsheet at each site. A change that needs to be deployed globally requires huge effort and carries risk of error. When data is consolidated into one ASM system, changes can be made singularly and globally. Reliability studies seamlessly interact with the CMMS without version issues and/or loss of data. Perhaps the most significant benefit of an ASM solution is its ability to facilitate risk-based decision making. Spreadsheets do no provide real-time analytics to guide informed decisions. With the right Asset Strategy Management system in place, all the key metrics you need to make those business-critical decisions that could make or break your business are at your fingertips. 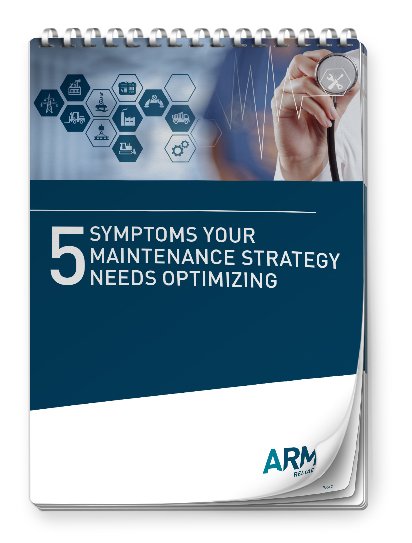 Do you get the sense that your organization is unable to deploy the best maintenance strategies to all assets, at all times? Do you suspect that money is being wasted through ineffective strategies? An Asset Strategy Management process could be just what your organization needs. It unlocks value currently being left on the table through ineffective strategies and the inability to deploy the best tactics to all assets in moments. What is Asset Strategy Management? Most organizations have attempted, at least in part, to standardize Master Data and even strategies for common equipment. It makes logical sense to consolidate and deploy common data wherever relevant. Creating and deploying generic content cannot be done effectively within a CMMS or ERP system. These systems are designed to support the execution of work; not the management of strategy decisions. By their very nature, they cannot truly utilize generic content in a continuously deployable and connected way. While there may be a sound, defined work management process in place to drive consistent execution of work, there is limited or no process in place to manage the review and evolution of strategies and content. Quite simply, parameters associated with the strategy can be changed on a whim with no requirement for subject matter involvement or approval. Essentially, most organizations have not separated work management and strategy management – yet they are entirely different processes with completely different objectives. So what does strategy management cover? Tactical: The maintenance tactics that will be executed. Including the tasks to be performed, when they are done, how they are done, who does them, materials required. Asset/Fleet: The decisions made at an asset level such as major component or asset replacement ages, major shutdown or system outage schedules. Portfolio: Optimization of budget allocation for a portfolio to maximize value given the financial and resource constraints. In many cases, there is an iteration whereby constraints at a portfolio level drive the need to change tactical level strategy to deliver the required performance with the available funds. This environment – where strategy management is separated from both work management and performance management, where it is implemented – allows for management of generic content, rapid deployment, and intelligent strategies that continually learn from your best decisions no matter where they are made. Your subject matter experts can develop a strategy for an equipment type, and then rapidly deploy the strategy to all relevant assets. When a change is made to one instance of that particular equipment type, you can see exactly where else it is implemented – so that maintenance plans can be updated in the CMMS, across the whole asset base if needed. Rather, it is a process that continually manages asset strategies over time. It delivers the required performance and allows you to effectively manage and deploy generic maintenance plans at a speed that matches the decision making. Of course, for the process to work, Asset Strategy Management allows for local variations of content to account for different operating contexts or duties, environments, local workforces or regulations – while maintaining the link to generic content for rapid deployment of the latest thinking in the future. What’s required for Asset Strategy Management? But get it right and the results speak for themselves. With Asset Strategy Management, you will realise significant cost savings by deploying your best strategies to your entire asset base, all the time. This is a guest post written by Copperleaf. ARMS Reliability is an authorised distributor of Copperleaf’s C55 Asset Investment Planning & Management solution. In a nutshell, it’s about choosing the ‘right’ things to invest in—the projects that will deliver the highest value, and are most aligned with your company’s strategy. It’s also about creating a plan—a roadmap for success—laying out what will be done, when, by whom and how it will be evaluated. The plan must address how to keep assets operating at their optimal level of performance, while managing risk, and respecting the available budgets and resources. Sounds simple but this is no easy task, especially in organisations with tens of thousands, or even millions of diverse assets. When these three principles of AIPM are put in place, organisations can start to make these complex investment decisions with confidence. PREDICT: Asset managers must focus on predicting the needs of their corporation’s assets, and on developing a realizable investment strategy to meet those needs. The key word here is realisable. It’s not just about identifying the ideal thing to do for every asset, because you invariably won’t be able to afford to do every “ideal” thing you are asked to. You need to propose a strategy that you can afford, and have adequate resources to carry out. This is where the second part of the strategy comes in. OPTIMISE: If your investment requests exceed your available budget and/or resources, you need to develop a plan that delivers the most value for the money and resources you do have. When you can’t do it all, you need to consider deferring some investments and/or evaluate alternative ways to address the needs identified above. Value-based decision making can help you make the difficult trade-offs between risk, cost, and performance, and ensure that for your available funding and resources, you are always executing a plan that delivers the maximum value from your assets. MANAGE: Even the best plans never execute as expected. Emergent work, delays, and cost overruns all affect your organisation’s ability to deliver on the original set of objectives. Actual spend and accomplishments should be compared to the original plan, variances explored, and the plan re-optimised to ensure that looking forward, the organisation is always focused on those activities that deliver the highest value. This process of continuous planning is an integral part of a best-in-class asset investment strategy. AIPM can help you make higher value investment decisions, and justify those decisions to stakeholders. Learn more about how AIPM supports the ISO 55000 standard. This is our sixth installment in our blog series on Root Cause Analysis Program Development. Earlier in the series, we introduced the six necessary functions within an RCA program and then outlined a recommended team structure to fulfill those functions. In this article, we’ll provide a detailed description of the part each of the six roles plan within an effective RCA program. It is the responsibility of the Steering Committee to develop and oversee the strategic functions of the RCA effort. Steering Committee members should collectively have the authority to assign RCA roles and responsibilities, allocate resources to the effort, and most importantly, have a vested interest in the success of the program. Leadership teams of this nature usually already exist in almost all organizations and as such, can double as the Steering Committee by simply adding RCA program status review to regularly scheduled routine meetings as an agenda item. This avoids the creation of more bureaucracy and duplicate meetings. Steering Committee responsibilities and functions are as follows. Sponsor a human change management plan where needed to ensure support from affected positions and departments. The Champion serves as a primary sponsor of the RCA effort. The Champion’s key functions are to promote the RCA effort through sustained advocacy and to make recommendations to the Steering Committee for the resources necessary for the tactical maintenance of the program. Primary responsibilities include the following. Ensure the Steering Committee has accurate and up-to-date RCA and solution status data to make informed decisions regarding allocations of resources and action item prioritization. Depending on the size and structure of the organization, the role of Super User may be beneficial. The Super User is the level above Facilitator in terms of formal RCA training, experience, and expertise with both the RCA methodology and any supporting software. They will also have advanced group facilitation skills and should also be the most experienced facilitator on site. It is not uncommon to combine the roles of Super User and RCA Champion. Super User responsibilities include the following. Deciding, in conjunction with the Champion, when to recommend bringing in facilitation assistance from impartial third-party experts. 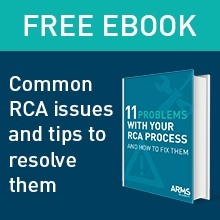 By understanding the responsibilities of each of these roles, you can ensure that the appropriate personnel are assigned to the proper roles, while at the same time, balancing existing position duties with any added RCA responsibilities. And, descriptions of each of the six roles within an RCA program. Next up – Training Strategy and RCA Effort Oversight and Management. Stay tuned for more.